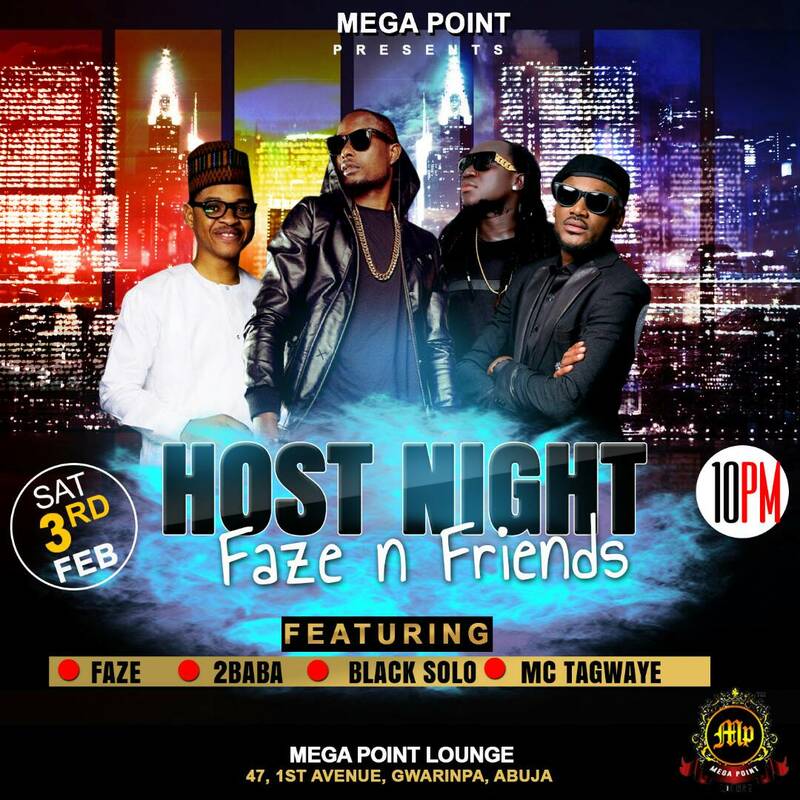 The much anticipated opening of MEGA Point Club in Gwarimpa is taking centre stage on Saturday, 3rd February, 2018 by 10:00pm as the management is leaving no stone unturned to ensure a grand celebration. The blissful night of fun will be attracting headline celebrities like Tuface, Face, Blacksolo, MC Tagwaye and a host of others. Also to mark this memorable night reigning Miss Intercontinental Africa Queen Chizoba Ejike ‎and other beauty queens will be putting up appearance at the impressive architectural masterpiece located at No. 47, 1st Avenue Gwarimpa, Abuja. ‎MEGA Point Lounge is one of the best night club in the capital city with attractive and sectional interiors to ease Abuja fun seeker from the harsh reality of daily activities. It's indeed a stop point for entertainment and relaxation especially before and after club hours. Putting up appearance at the red carpet this Saturday with cameras, light and sound will sure convince of the need to have fun at your doorstep.